Just a week ago I wrote an article exploring whether or not it was a good idea to invest in Bitcoin at that precise moment. Although, as I am not a financial advisor, I decided to stop short of offering a definitive answer either way, it turns out I should have given you a rather emphatic “yes”. In the short space of time since I wrote it, the price of a Bitcoin has close to doubled, from $9,000 to $17,000. For me Bitcoin’s main point of interest has always been that it is the first practical application of blockchain technology – which is predicted to have revolutionary applications in many fields. However, in the almost 10 years it has existed, it can’t be denied that its feature which has caused the most excitement is its tendency to rapidly appreciate in value, to levels that now appear stratospheric. Bitcoin’s first official valuation is generally accepted to have taken place in 2010 when 10,000 of them were swapped for two pizzas. With that in mind, assertions which have been made such Bitcoin being the fastest appreciating asset in the recorded history of the markets stop sounding like hyperbole. 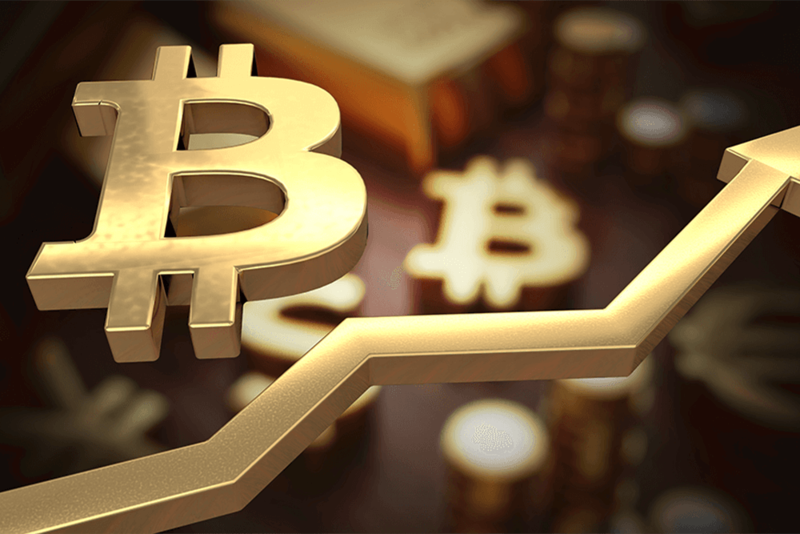 According to Ville Oehman, fund manager at Helvetic Investments, the Bitcoin market has matured to the point where it is now an attractive investment proposition for mainstream institutional investors. Importantly, the regulatory framework which needs to be in place before these institutions – and the serious money they look after – feel confident enough to get involved. This is why his company this week announced their Cryptocurrency Balanced Large Cap Fund. Oehman tells me “It’s really about timing – if you look back 12 months, the market cap of Bitcoin and cryptocurrency was $25 billion. “Now we are close to $400 billion and we are talking about a completely different picture. It’s really been a market where the products available haven’t been geared towards institutional investors, but now we are starting to move towards that. Oehman says that for a year or two now there has been a growing demand from institutional investors such as family offices representing high net worth individuals, for ways to invest in crypto currencies while still being covered by the same protections offered by more traditional markets. It’s not the only step that Bitcoin and crypto currency seem to have taken towards mainstream acceptance in recent days. Regulated trading in Bitcoin futures will begin this month on two exchanges – including the world’s biggest futures exchange, CME Group. This means that investors who do not want to be directly exposed to the risks and challenges of buying, securing and transferring Bitcoins can reap the benefit of rises in price without even going near a private key or an unregulated online exchange. This will certainly be seen as an advantage to many. Traditionally (well, as much as tradition can develop in eight years) buying Bitcoins online has involved either having a connection, or transacting through an online exchange. As operators in a hugely lucrative and barely policed market, it isn’t surprising that over the years many of these have been the focus of scams and hacking attempts. Through these, collectively, billions of dollars’ worth (at today’s prices) of Bitcoins have been swiped. This represents a challenge unique to cryptocurrency. While you would need a truck to drive off with a billion dollars’ worth of gold, and you’d have to physically move it from wherever it is stored, the same value in Bitcoin could fit onto a microSD card, or even a slip of paper. And if it was kept on a computer connected to the internet, it could be stolen by hackers half way across the world should they find a way of breaking into hard drives, tablets or phones where wallets and passwords are stored. Oehman says that this is why the decision was taken to prioritise safe custody for his customers’ coins. “Most people don’t like to talk about crypto currency custody”, he says. “Exchanges are a prime candidate for hackers and as it isn’t a regulated market they can behave how they want – they can have their own bots trading against you. “So the fund behaves like an individual cryptocurrency owner should behave, which is pulling the crypto assets of the market and parking them offline in a highly secure environment. It’s clear that big money is becoming increasingly interested in Bitcoin, cryptocurrency and blockchain as an asset in its own right, as well as because of the transformative potential of the technology. Early adopters have already made millions (billions, even) but if institutional investors really are starting to take notice, then recent price rises could just be the beginning.